Timekeeping is a child of astronomy. Everything related to the calculation of time and calendar indications has to do with the motion of the Earth, the Moon and, of course, the Sun. 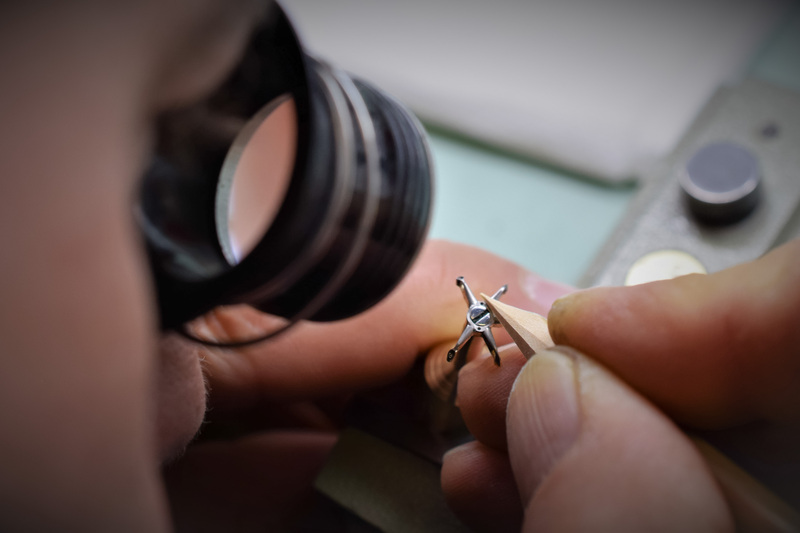 It is no surprise that some brands (a few brands…) use this to create complex yet fascinating watches. 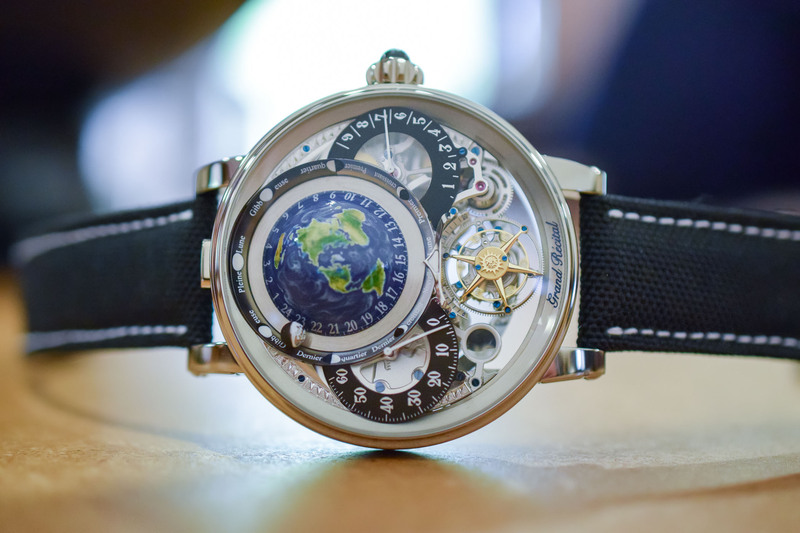 For its latest creation, Bovet gives a splendid horological recital conducting the Earth, the Sun and the Moon into a celestial ‘pas de trois’. Meet the captivating Bovet Recital 22 ‘Grand Recital’. Horology finds its roots in astronomy. Ever since man wondered about the passage of time, the schedule of our lives has been shaped by the motion of heavenly bodies and their regular cycles. The notion of time, as we know it today, is measured according to what Humans were able to perceive. Calculations have thus been based on the regular motion of the Earth compared to observable stars and planets. 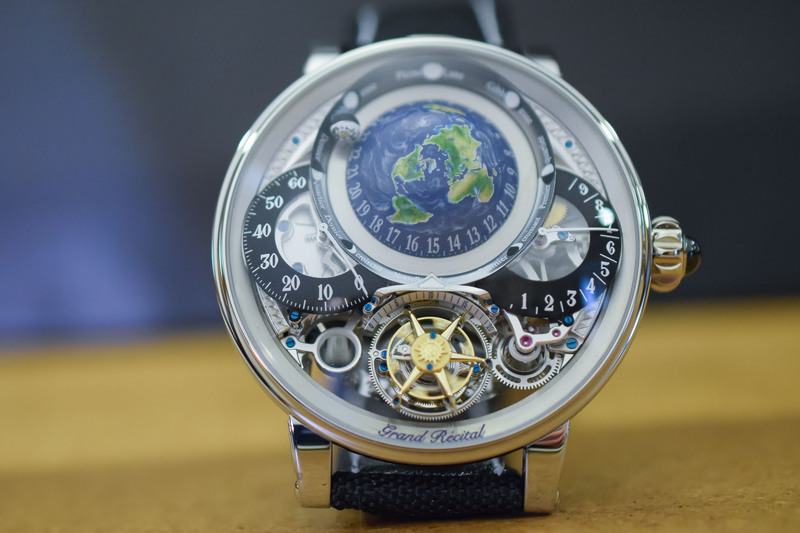 Bovet has been exploring the theme with a masterfully-crafted series of complex watches, providing a poetic vision of time invoking science as much as art. In 2016, the overture was the impressive Shooting Star, a 5-day Tourbillon with jumping hours, retrograde minutes, and a hemispherical double moon phase. 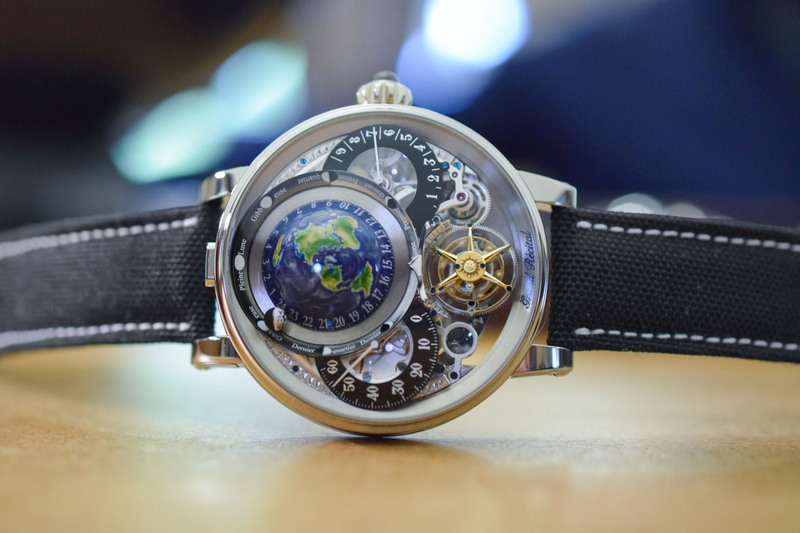 A year later, the Astérium was a star-gazing invitation regulated by a 10-day flying tourbillon. Today, with the Recital 22 ‘Grand Recital’, Bovet celebrates the three heavenly bodies that set the pace of our lives, the Sun, the Earth and the Moon. To start with our most familiar star, the Sun is represented by a one-minute flying tourbillon, raised above the surface of the movement, almost as if floating in mid-air. The tourbillon cage features five arms recalling sun rays. At 12 o’clock, the Earth is a hand-painted hemisphere showing the hours. A precision Moon (requiring a correction of just one day in 122 years) revolves around it. 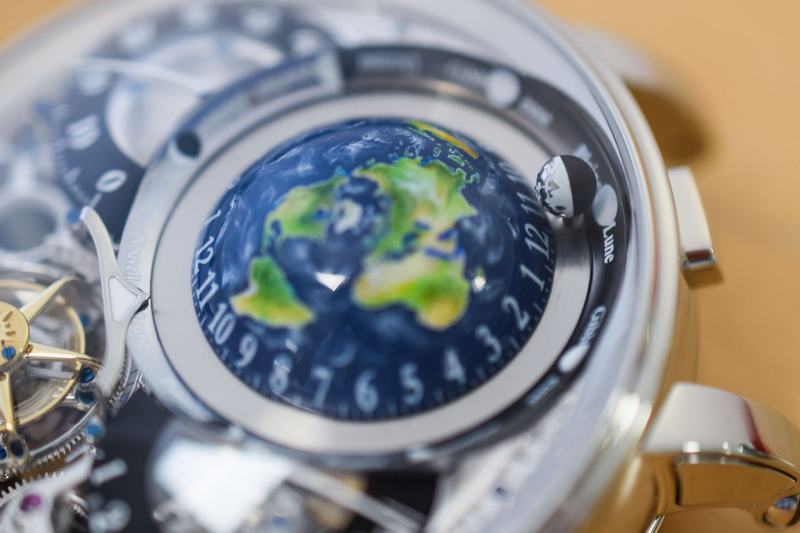 Retrograde minutes and a power reserve indication are displayed on hemispherical sectors on each side of the globe. Sapphire crystals are inserted in their centres to magnify the mechanical intricacies underneath. Last but not least, the date is displayed at 7 o’clock through a magnifying glass. But this is not just a simple date, but it’s part of a perpetual calendar that only displays the date on the dial-side, while all other information is displayed on the reverse side. The date is the only information displayed because it is the only that matters on a daily basis. Everybody knows the month or the day of the week without having to check a calendar. On the other hand, the date is needed to set your perpetual calendar. 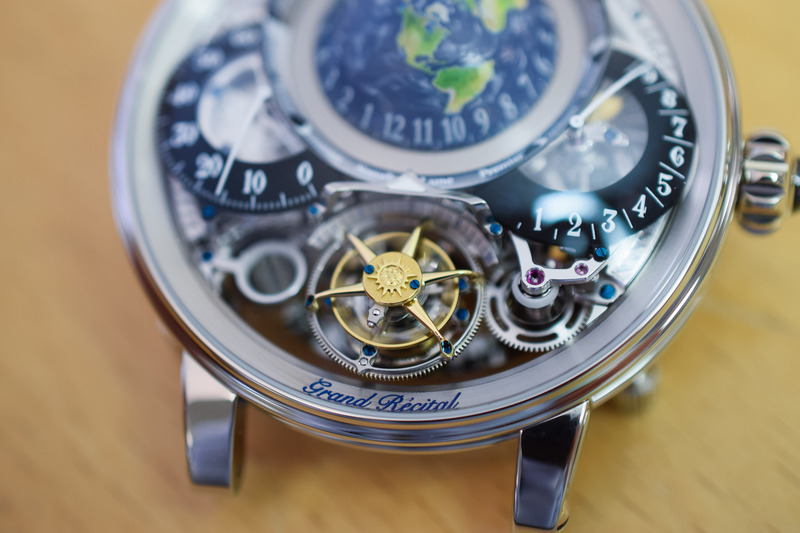 To do so, just turn the Bovet Recital 22 ‘Grand Recital’ over. There, you’ll discover all the perpetual calendar indications, including the date again, just for the convenience of setting the perpetual calendar. 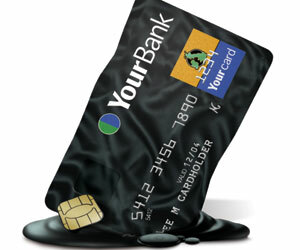 The date is indicated via a retrograde mechanism driven by a patented micrometric rack. Another smart feature is the calendar setting mechanism. In addition to the traditional correctors used to adjust each indication individually, it can be adjusted thanks to a user-friendly rectangular pusher located in between the upper lugs. It allows the simultaneous advancement of all the indications by one day. So if you watch has stopped for five days, all you need to do is press the pusher five times to set your watch. 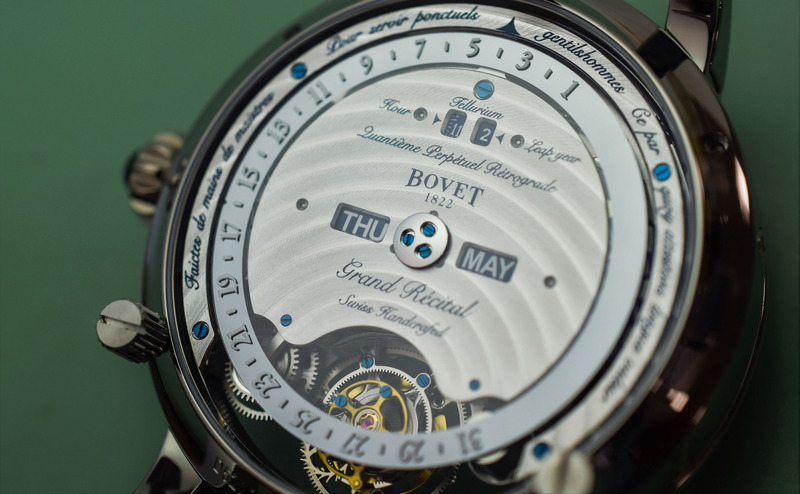 The movement inside the Bovet Recital 22 ‘Grand Recital’ is the manual calibre 17DM03-TEL. Comprising no fewer than 472 parts, it operates at 18,000 vibrations per hour. Its single barrel can store up to 9-days power reserve. It is housed in the ‘Ecritoire’ (writing-slope in French) case whose asymmetrical sloping design is inseparable from the structure of the movement. 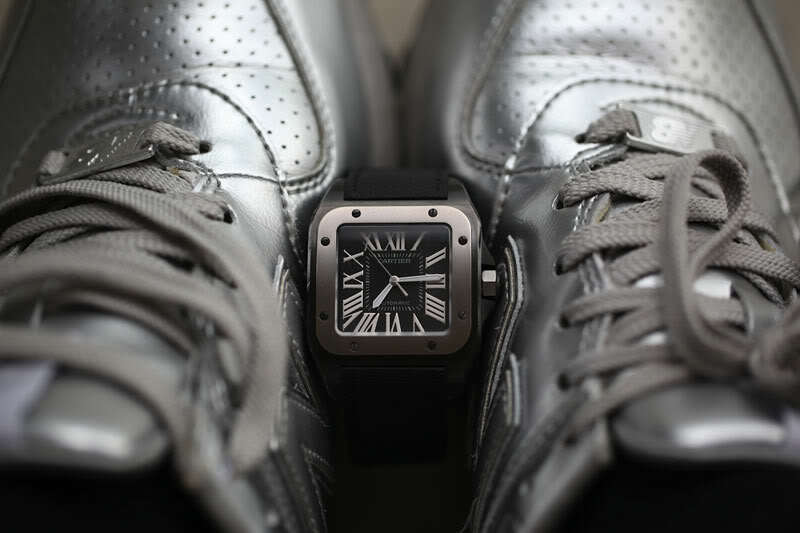 At the same time, it allows the watch to sit snuggly around the wrist despite its imposing diameter. At 46mm in diameter and 19.60mm in height, it shares the same dimensions as the Astérium. Beyond the impressive technicality of this watch, the Grand Recital is a beauty. This three-dimensional micro-cosmos is literally transfused with light, revealing a multitude of intricate details. A demonstration of the brand’s ethic of no compromise, the finishing is top-notch. Fine workmanship, meticulous attention to detail and the mastery of traditional crafts are evident throughout. 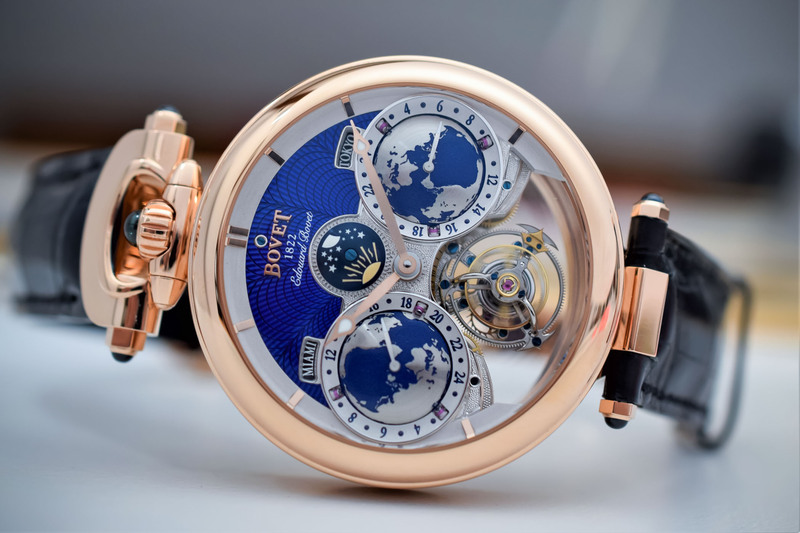 Bovet is a manufacture with a rare level of vertical integration. If you ever get the chance to visit, you will understand why. There, detail-obsessed professionals lavishly manufacture movements (including hairsprings) but also external parts such as dials. As an example, the manufacturing of the globe requires 15 days of work. 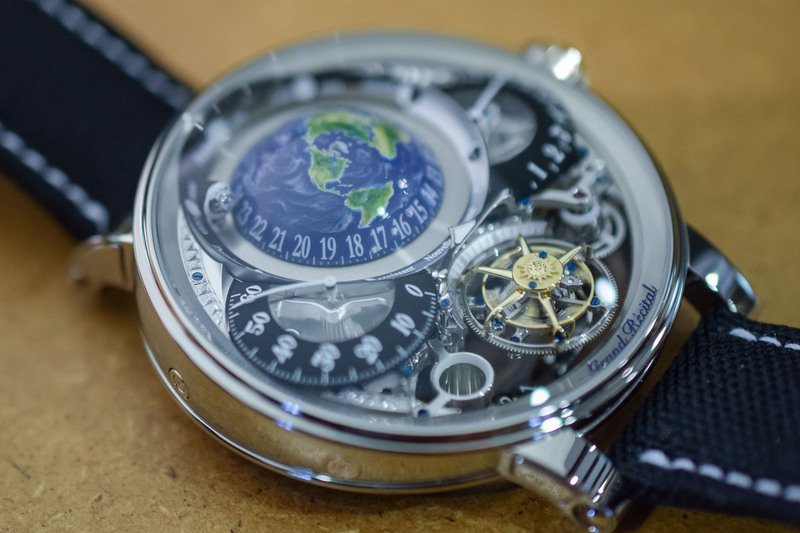 Machined in-house, the hemisphere is hand-engraved and hand-painted with striking details. The artisan incorporates luminescent substances into the miniature painting. It is then covered with several layers of transparent lacquer before the clouds are also hand-painted. As a result, the depth, shine and realism of this representation of the Earth are truly impressive. The ‘Grand Recital’ is worn on an alligator strap or a black fabric strap for the titanium version. Finally, several customisation options are proposed, made possible by the in-house manufacturing of most parts of the watch. A limited edition of 60 movements, the Bovet Recital 22 ‘Grand Recital’ retails for CHF 435,000 in polished titanium and pink gold, or CHF 465,000 in platinum. 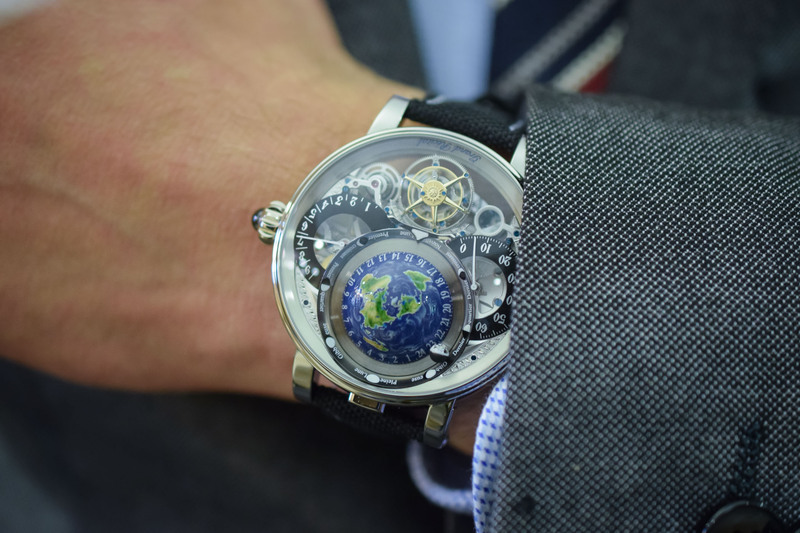 For more information, please visit www.bovet.com. 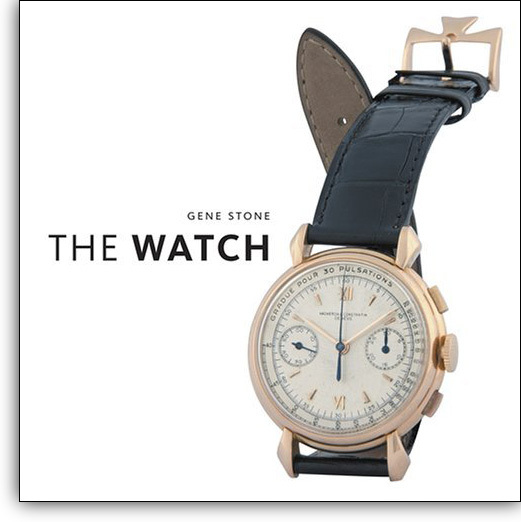 Hard times for watch industry? Interesting because it is different, complex and superbly finished. Yes, very intriguing and I love the integration of the perpetual calendar, although the display on the back of the watch……hmmm, maybe not. It’s not like your going to remove the watch to check the day or month…but it still seems wrongly hidden. This is a pure novelty watch, too big to really wear, too expensive to risk scratching, too attention seeking to get anything else done except talk about your watch. 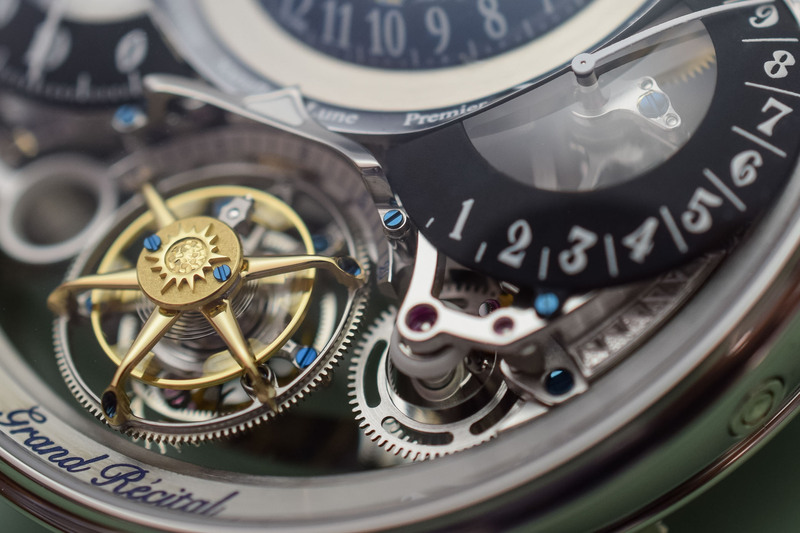 I love its horology, its detail and its fearlessness.